HomeGold IRA BlogBuy SilverStop Ignoring The Elephant In The Room! The “elephant” in the old idiom refers to an awkward or embarrassing topic, which everyone is aware of but no one wants to talk about. The elephant in the room I’m referring to is silver. Laws of physics dictate that everything in the world seeks equilibrium. Economic law dictates the same, but nothing about silver today approaches equilibrium. Gold and silver are both precious metals in high demand and there is seventeen times as much silver on the Earth as gold, so it would make sense that gold would be seventeen times greater in value. The ratio, which is currently more than 80:1, has not been close to 17:1 since 1980, when it got as close as 19:1. 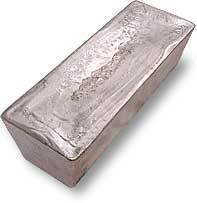 Then excuses are made that supply has exceeded demand, but the demand for silver is great and continues to rise. Silver is widely known for its use in coins, silverware, and jewelry, but in today’s world, that doesn’t even account for half of its consumption. Silver has far more applications than any other precious metal and the list continues to grow, particularly in the medical arena, due to new and wide applications utilizing its incredible anti-bacterial property. Of all the metals, silver is the best thermal and electrical conductor. It can be flattened into sheets or drawn into flexible wires. It’s a natural antimicrobial that resists corrosion and oxidation, while being both malleable and ductile. It is difficult to identify a particular group, other than central banks, that have gone out of their way to put a negative spin on physical silver ownership, but of course, while the central banks have been bad-mouthing both gold and silver, they’ve also been buying it hand-over-fist, at conveniently lower prices. With all the geo-political saber-rattling going on, it might be a good time to load up on silver in particular. In the event of a market crash, or dollar devaluation, physical silver is a good thing to have on hand, because it conveniently handles smaller denominations and is not tied to a particular market or currency. It has successfully served as a universal currency for millennium. By all measurements, American Bullion is a precious metals industry leader. This can be verified with a review of its ongoing customer satisfaction awards, most recently bullion.directory’s “2017 Bullion Dealer of the Year – Gold Retirement Specialists.” American Bullion has the experience, knowledge, and network necessary to make physical precious metal purchases quick, simple, and transparent. The 5% – 15% precious metals portfolio allocation, typically recommended by financial advisors, may not be enough to survive the next economic cataclysm. Call American Bullion, at (800) 653-4653 to make sure you’re properly covered. Call today, in order to make sure you don’t get caught without a chair when the music stops!